Share your experiences with Ninja 400? 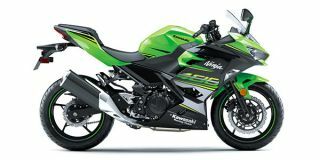 The Kawasaki Ninja 400 is an all new entry in the sports bike segment and it looks sharper than its sibling the Kawasaki Ninja 300; courtesy all new fairing and a new LED headlight setup. It’s beefier too, but lighter by 1kg. The instrument console is derived from the Kawasaki Ninja 650, whereas the tail lamp is inspired by the one seen on the Ka wasaki Ninja H2. As far as features are concerned, the Kawasaki Ninja 400 gets dual LED headlights, a slipper clutch and the safety net of ABS as well.